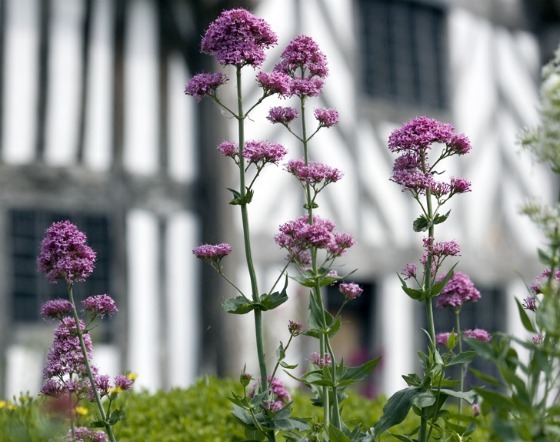 This was the childhood home of Shakespeare’s mother, Mary Arden, and is your opportunity to experience a real Tudor farm. Costumed residents are on hand to help you get a feel for the place, along with pigs, goats, sheep and cattle. The farm complex includes Mary Arden’s house, many barns and outbuildings and the farmhouse of the Palmer family (pictured above). During the year there are many organised activities and displays. For instance, at weekends there’s a birds of prey demonstration and you’ll also find Tudor entertainment from time to time. We enjoyed the extra dimension that the farm adds to the collection of properties connected with Shakespeare. It’s the one that young children will get the most out of, but it’s certainly not just for families. The farm is the village of Wilmcote, a short drive from Stratford. The Hop-on, Hop-off Bus Tour also stops here. The farm is closed in the winter. This is an extract from our free Shakespeare Country Guide. Booking online here can save you money! Also, tickets are valid for 12 months from the date of issue to allow you to return for free. 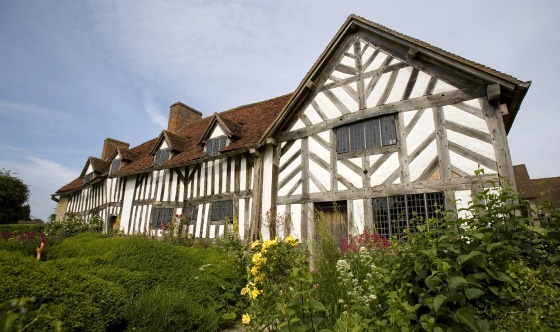 Mary Arden’s Farm is open between March and October daily from 10am to 5pm but it is closed in the winter months.